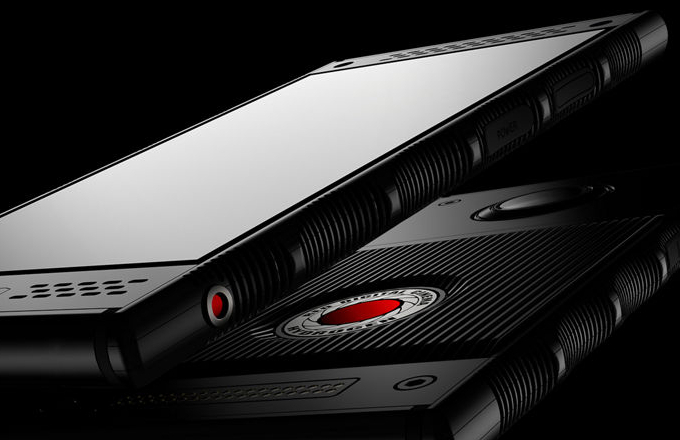 Red Hydrogen One Phone – A little over a year ago we learned that RED, the famous manufacturer of some of the most advanced film cameras in the world, was developing his first Smartphone, the one baptized as Hydrogen One. On paper, RED sold it to us as a revolution by incorporating the first “holographic screen” of the market and whose price would start at $ 1,195. A barbarity that seemed smoke in the distance. Over the months, RED continued to occasionally talk about his Hydrogen One, and a few days ago, after some delays, the company confirmed that it was ready to go on sale. Today, according to internal sources of Engadget, the Hydrogen One was already shown in Mexico to a group of distributors of the operator Telcel, and will begin selling on November 2. RED Hydrogen One was shown a few days ago in its final version during the so-called ‘Expo Telcel’, which is aimed at vendors and distributors of the Mexican operator. During this expo, the Smartphone showed for the first time and almost publicly the capabilities of its “holographic” screen. As we are told, the opinions of the attendees were mixed, since while some mentioned that they had never seen anything like this, others said that it was something very similar to the Nintendo 3DS, where the key will be in the type of content that is available, which You should take advantage of this screen so as not to be anecdotal. According to the information, the Hydrogen One will be available in Telcel stores from next November 2, its price will be $ 1,295 and will only be available in its aluminum version in two colors: black and “shadow”. While the version in Titanium, which will be priced at $ 1,600 will not be available with operators. That same day will also be available with AT & T and Verizon in the United States, with the same features and price. On the other hand, this August 31, RED will deliver to a small number of customers the Hydrogen One ‘Houdini’, which is the prototype version for developers, which was manufactured in black aluminum and does not have the final version of hardware and software. This will happen during the Red Studios Hollywood event. Likewise, on October 9 RED will start sending the first units of the final version in black aluminum to all those who booked the Hydrogen One on their website since the beginning of this 2018. While the titanium model is said to arrive in early 2019. For those who do not remember, and according to specifications, RED Hydrogen One has a 5.7-inch screen, which promises us “holographic content in four angles”, and which they claim makes use of nanotechnology to switch between 2D, 3D and holograms. It is said to be modular, having the ability to add additional accessories for new functions, and will serve as an external monitor for RED cameras, where you can also use editing software created specifically for the Smartphone. In the next few days it is expected that there will be an official launch by RED in the United States and Mexico, where finally the presentation of this Hydrogen One will be made to the press, at which time we will know if it is smoke or is actually the revolution that We wanted to sell RED for more than a year. Brand Content and Inbound Marketing: Same Fight?